Your heart beats several thousand times each day, and these heart muscle contractions help to pump oxygen-rich blood throughout your body. Your body regulates your heart beat according to your body's oxygen demands: physical activity increases the need for oxygen and increases your heart rate, while resting and sleep requires less oxygen and a lower heart rate. If you often feel like your heart is racing for no particular reason, you might suffer from any number of disorders that affect your heart rate, including a number of possible vitamin deficiencies. One vitamin deficiency that can cause your heart to race is a severe deficiency in thiamin, or vitamin B-1. This nutrient aids in the activation of proteins within your cells, helping your cells to access useable energy from the foods you eat. Underconsuming thiamin for long periods of time can harm your heath, causing side effects including rapid heart rate that can cause heart failure, as well as peripheral nerve damage and memory disorders. A deficiency in vitamin B-12 can also lead to a rapid heart rate, so your heart feels like it's racing. The deficiency can lead to pernicious anemia, an inability of red blood cells to effectively carry oxygen. Pernicious anemia due to vitamin B-12 deficiency causes a rapid heartbeat, along with fatigue, irritability and shortness of breath that result from decreased oxygen flow throughout your body. Correcting the vitamin B-12 deficiency treats the anemia to help restore a normal heart rate. Another nutrient deficiency that can cause your heart to race is a vitamin C -- or ascorbic acid -- deficiency. Severe ascorbic acid deficiency leads to a disease called scurvy, which can cause an increased heart rate. In addition, patients with scurvy might suffer from bone damage, tooth loss, gum recession, muscle pain and abnormal wound opening. Maintaining a healthy diet rich in vitamin C can prevent scurvy and protect against an elevated heart rate. While nutritional deficiencies can cause your heart to race, an elevated heart rate is also influenced by several other factors. 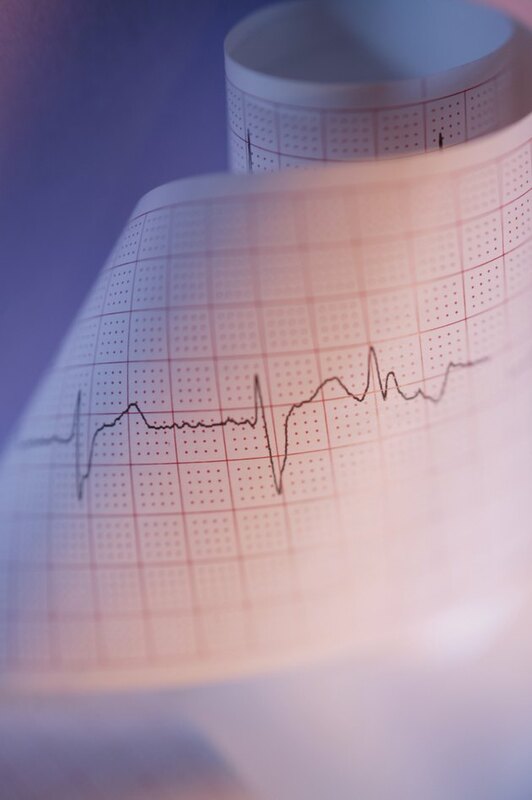 Emotional stress, hormonal imbalances and cardiovascular disease represent a few possible causes, though many other diseases can affect your heart rate. Do not try to treat a racing heart with vitamin supplements on your own. Ignoring a racing heart, or improperly treating an elevated heart rate with vitamins, might increase your risk of heart failure. You must seek medical attention to assess the underlying cause of the elevated heart rate and undergo treatment under the care of a physician. Can Vitamin D Cause Stomach Cramps?